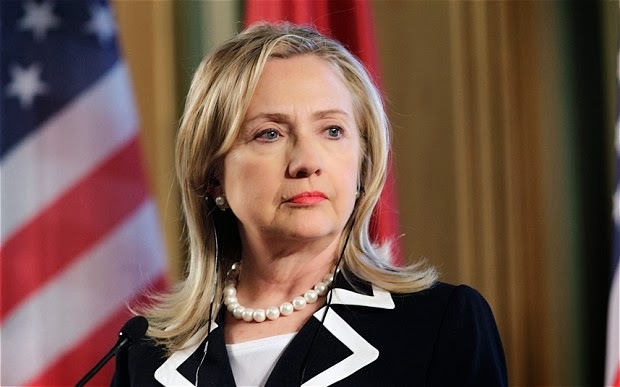 Hillary Rodham Clinton is one of the most famous women in the world. She is an American politician and educated lawyer. Hillary Rodham Clinton date of birth is october 26, 1947. She was born in Chicago, Illinois and she has two brothers, Hugh and Anthony. She went to public schools where she participated in swimming, baseball, and other sports. In high school, she was a member of the National Honor Society. She was president of her senior class at Wellesley College where she majored in political science. She was the first student ever asked to deliver the commencement address at Wellesley. She studied law at Yale Law School where she was an editor of the Yale Review of Law and Social Action. She graduated with honors. This is where she met her future husband, Bill Clinton. She worked on cases of child abuse at Yale-New Haven Hospital and volunteered at New Haven Legal Services to provide free legal advice for the poor. Rodham was a staff attorney for the Children’s Defense Fund. In 1974, Hillary moved to Arkansas, where she married Bill Clinton in 1975. She worked as an attorney while raising their daughter, Chelsea. She was an assistant professor at the University of Arkansas School of Law where she taught criminal law. She was the first director of the school’s legal aid clinic. President Jimmy Carter appointed her to serve on the board of the Legal Services Corporation. In 1992, Bill Clinton was elected President of the United States. As First Lady, Hillary was an advocate for health care reform and worked on many issues involving children and families. She traveled to more than 80 countries representing the United States. In Beijing, China, in 1995, she said, “Human rights are women’s rights, and women’s rights are human rights.” This helped start a global movement for women’s rights. She started the Save America’s Treasures program to save historic items and sites. This included the flag that inspired the Star Spangled Banner. In 2000, Hillary Clinton was elected as a United States Senator for New York. Hillary worked to get $21.4 billion in funding for Ground Zero. This was used for clean up, providing health services for first responders and volunteers and for redevelopment. She was an advocate for improving benefits for veterans, bringing broadband access to rural communities, and funding for new jobs to repair, renovate and modernize public schools. In early 2007, Hillary campaigned to be the Democratic candidate for president. She was defeated by Barack Obama. Obama named her as his Secretary of State. She is the third woman to be Secretary. Secretary Clinton had traveled almost 900,000 miles and visited 110 countries, more than any other Secretary of State. Republicans and Democrats have praised her efforts on behalf of the US. Young Hillary Rodham was a Republican. Hillary was a Republican as a teen, until the events of 1968 led her to switch parties as a college student at Wellesley College. Bill and Hillary were teachers at the same school. Hillary and Bill Clinton were faculty members of the University Of Arkansas Law School in Fayetteville until Bill ran for election and became Arkansas’ attorney general in 1976. Hillary was accepted to both Yale and Harvard Law schools. A friend introduced her to one of the legendary Harvard law professors saying, “Professor so-and-so, this is Hillary Rodham. She’s trying to decide between us and our nearest competitor.” The professor replied, “First of all, we have no nearest competitor, and secondly, we don’t need any more women.” Hillary decided to go to Yale. "In almost every profession - whether it's law or journalism, finance or medicine or academia or running a small business - people rely on confidential communications to do their jobs. We count on the space of trust that confidentiality provides. When someone breaches that trust, we are all worse off for it." What Is A Corporate Lawyer Job Description? What Is A Criminal Lawyer Job Description?